The Mesh Display panel shows you which Avastar system meshes are available in the active Rig. 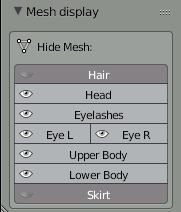 Here you can enable or disable the visibility of each of the defined meshes separately. 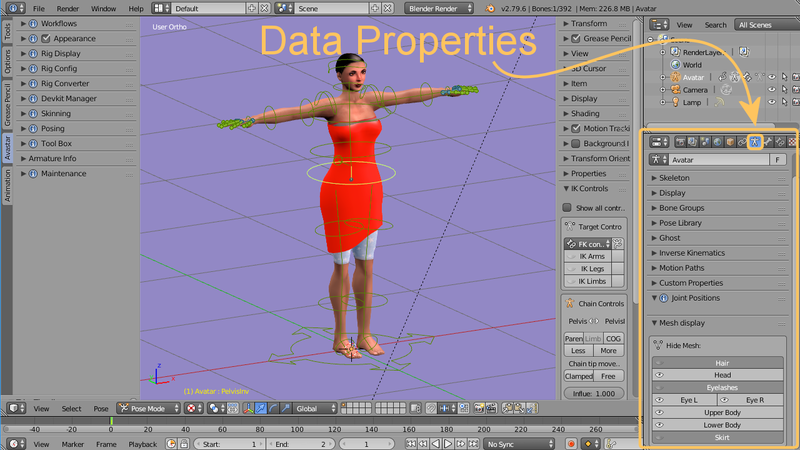 Note: Only System character meshes are listed. If the active armature does not contain any Avastar system mesh, then the Mesh Display is empty.